Disclaimer: This isn’t a sponsored post. 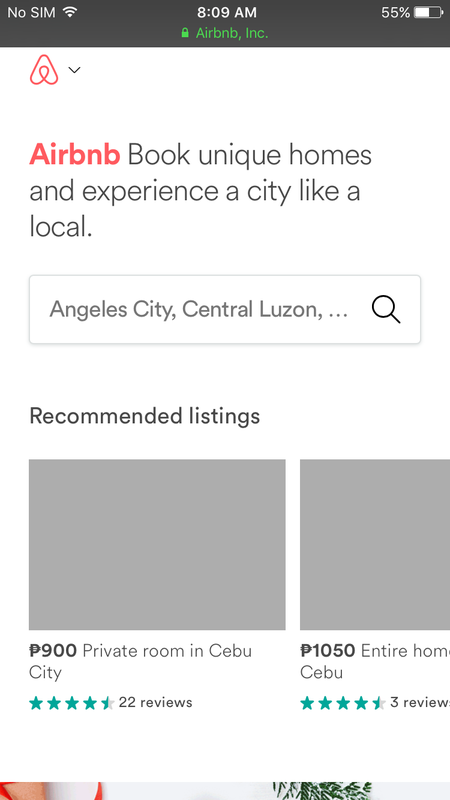 I just want to share our Airbnb experience to give you readers an option when you go out of town or the country. It is my second time booking with Airbnb. 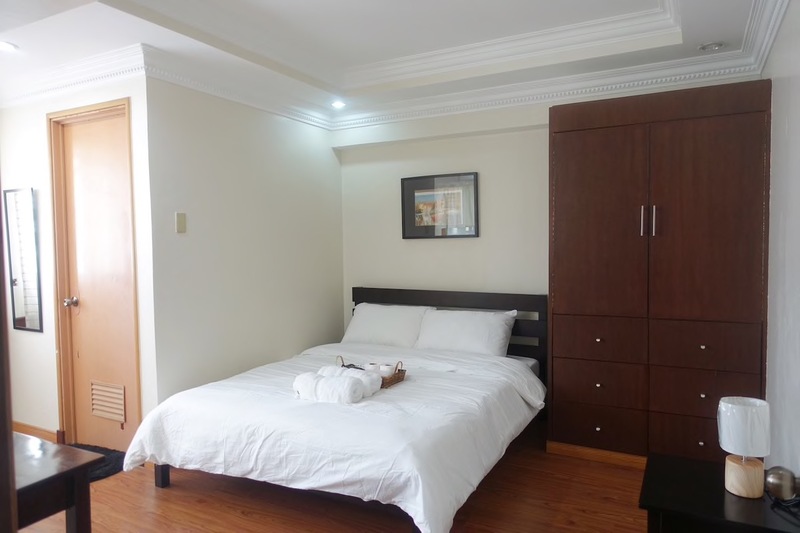 The first was when we went to Hong Kong where we rented a huge flat for 2 nights and it was the best decision ever because it was affordable and roomy, it made our stay comfortable. 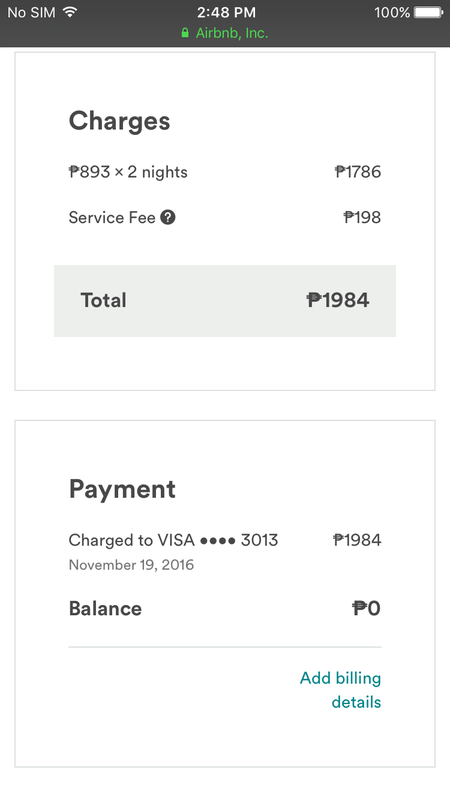 With this positive experience, Mark and I decided to book a room again with Airbnb for our Cebu getaway. 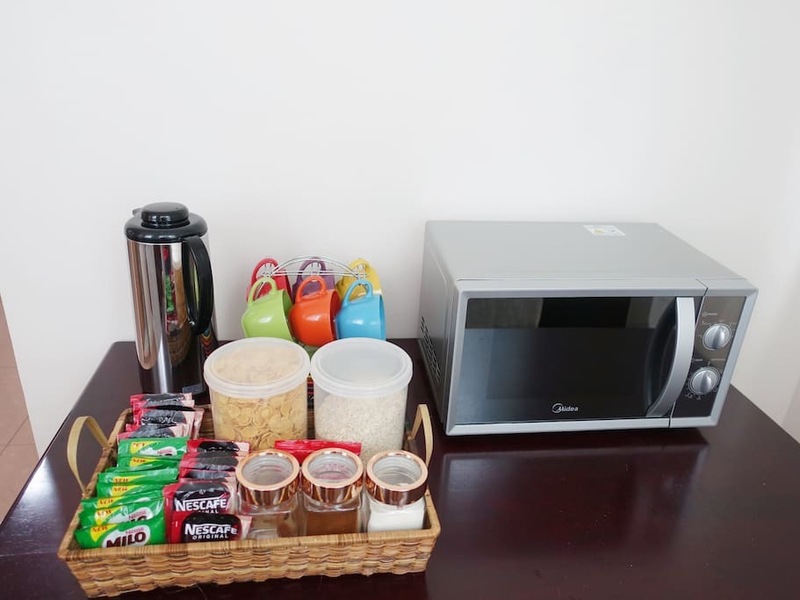 Hotel room rates were quite pricey and we want to allocate our budget to other activities we might want to do there. 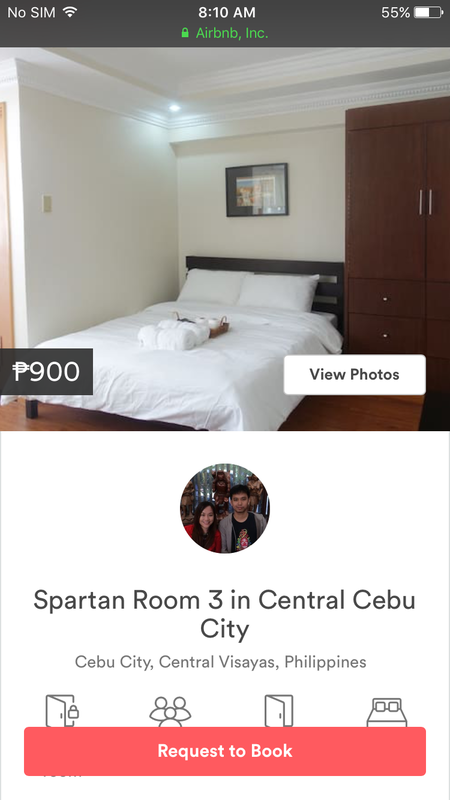 So off we went browsing through the airbnb site and a week before our departure, we decided to get the Spartan Room of whose hosts are Eula and Francis. It was a breeze coordinating with them. Though we never actually had the chance to see them during our stay, everything was smooth. Their apartment has 3 bedrooms, of which they’re all for rent. I believe that the other two rooms were booked on the day we arrived. But, no problem, you won’t be bothered because, just like us, they kept their activities to theirselves. Our room is a spacious one, with a king size bed that was so comfortable I always had the hard time waking up. There’s also a big cabinet where you could settle your things. No heater for the shower though, but it’s okay! The bathroom was also roomy. There’s also a TV set with cable channels. I love watching and this saved me during the times that we’re jusy chilling inside the room and while getting ready. There were also free supplies for breakfast and complete kitchen appliances should you decide to make your own meals before heading out. This is the address of the place. 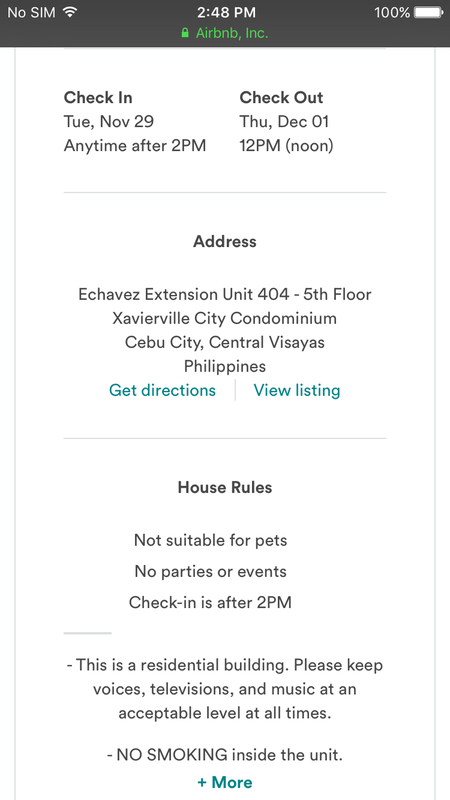 Its location is accessible and you can go to Ayala Mall Cebu in minutes (without traffic and on foot) and also near Fuente Osmeña Circle. 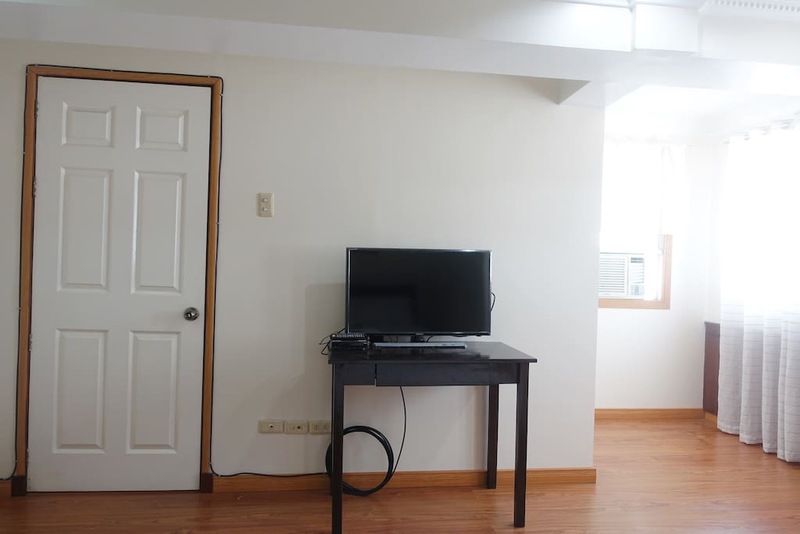 We got the room for 893php per night plus its cleaning fee. Mark and I enjoyed our stay here and had good sleep for two nights before transfering to ABC Hotel. Anyway, thank you Eula and Francis for the nice stay! Will definitely recommend this room to you guys! Booking with airbnb is as easy as 1,2,3. But of course, always be vigilant! We may never know… but will consider this helpful site again whenever we need a nice place to stay at. 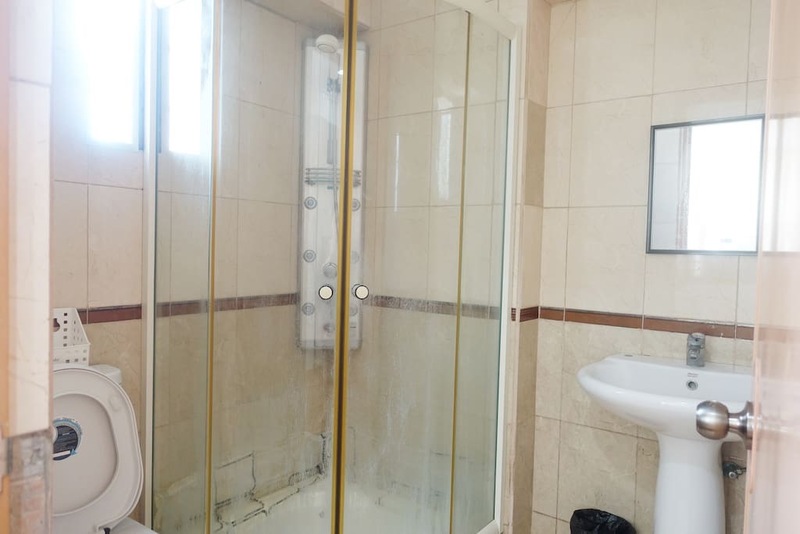 Note: all photos were from the airbnb site except my featured image which I got from Google image.